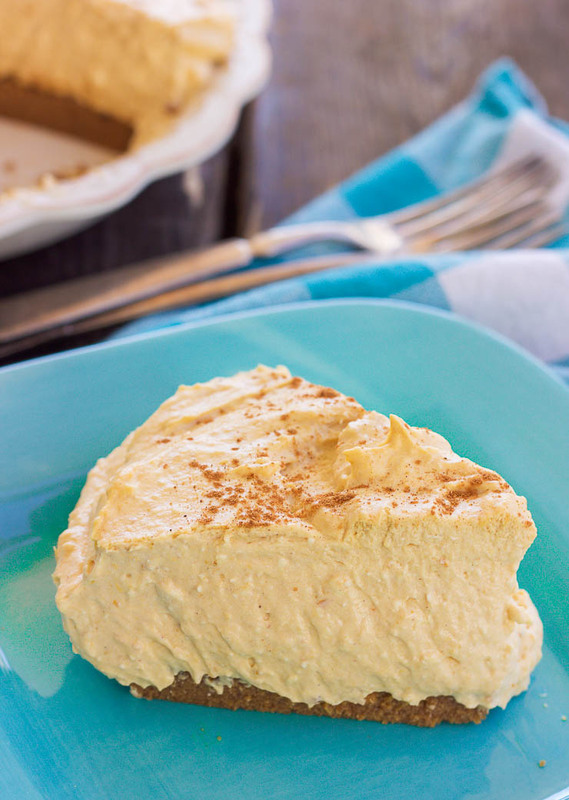 This gluten-free no-bake peanut butter cookie pumpkin cheesecake is made out of a peanut butter cookie crust and filled with a dreamy and creamy pumpkin cheesecake that will satisfy anyone’s sweet tooth this holiday season! I am sure by now that the Thanksgiving feast prep work is well underway for a lot of us. 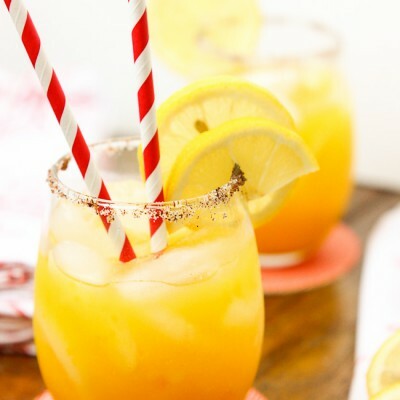 I’ve got sides prepped like my easy blue cheese green beans and my fall peach salad with rosemary maple vinaigrette, Honey Bear cocktails at the ready, and am fully prepared to dream about that juicy bird on our dining room table tomorrow. I’ve also got this peanut butter cookie pumpkin cheesecake queued up for tomorrow’s feasting lineup and for tonight’s dream schedule. This beast has a peanut butter cookie crust. I’ll type it again for a second read…. It’s got a peanut butter cookie crust y’all. 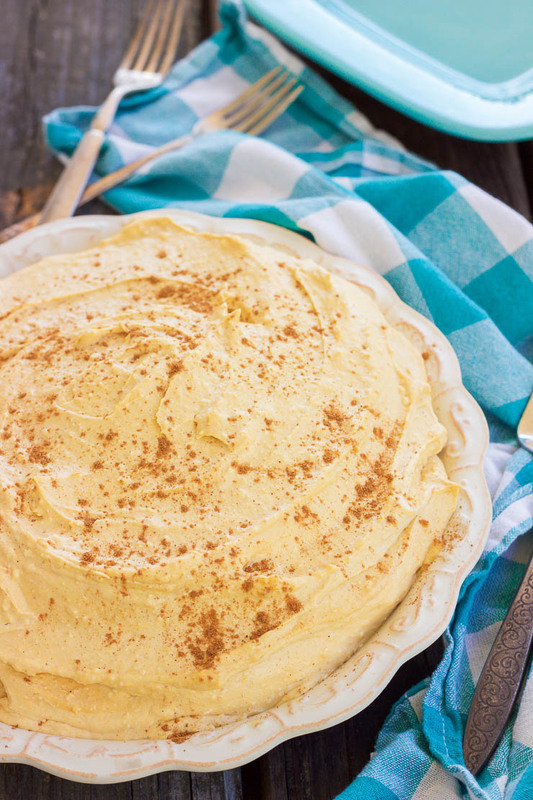 The peanut butter cookie crust is topped with a thick layer of fluffy pumpkin cheesecake mousse. 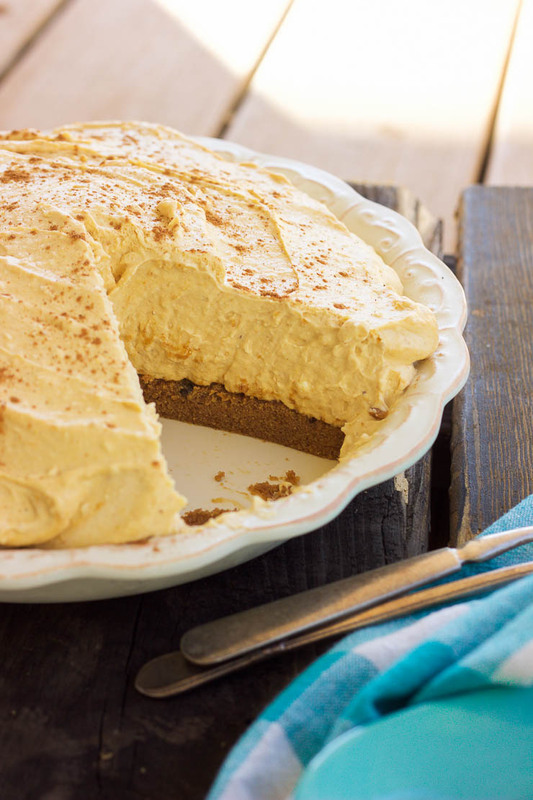 I either top the decadent cheesecake layer with a sprinkle of pumpkin pie spice or smothered in a simple and quick homemade whipped cream (1 cup cream + 1/4 cup powdered sugar, whisk with a hand mixer until stiff peaks form). This ain’t healthy. Not one bit. 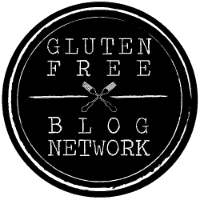 I know that I try to post healthy or allergy friendly recipes on these pages but every once in a while a girls gotta splurge. Friday I’ll go back to eating that fabulous fall peach salad or something. Ready for an amazing sugar overload??? To make the crust, grease a pie pan and set aside. In a large mixing bowl combine the powdered sugar, brown sugar, peanut butter, and melted butter together. Transfer to the pie pan and press into an even layer on the bottom of the pan. Place in the fridge for 20-30 minutes or until hardened. 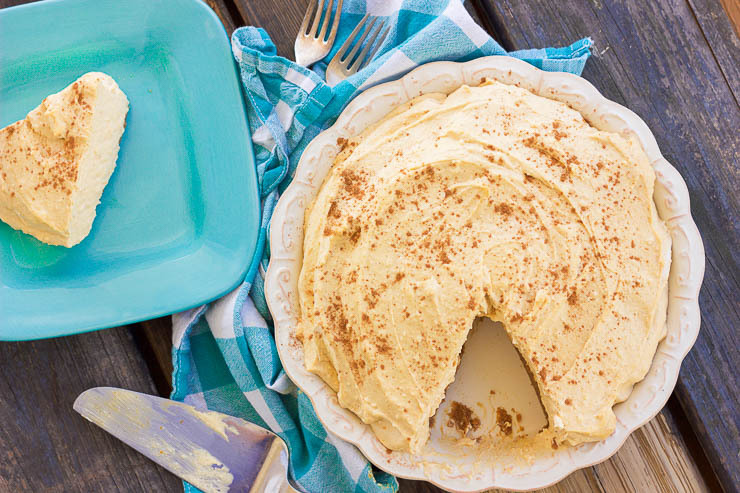 To make the filling, use a large mixing bowl and mixer to beat the cream cheese, sugars, pumpkin, vanilla, and pumpkin pie spice together until smooth and creamy. In another bowl beat the cream until stiff peaks form. Fold the whipped cream into the cream cheese mixture until well combined. Remove the crust from the fridge and pour the cream cheese filling evenly on top of it. Place back in the fridge to chill until firm (about 1-3 hours). 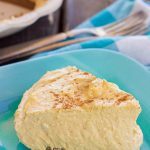 Besides the fact that it’s a no-bake cheesecake recipe (which saves more space for all those baked and roasted Thanksgiving goodies! 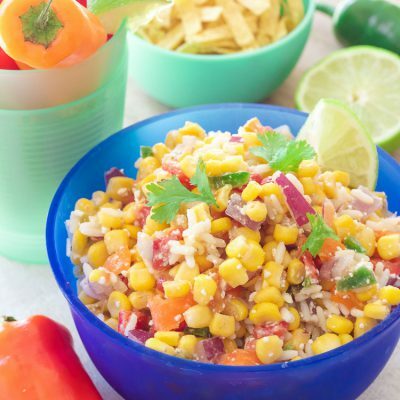 ), this recipe is just an all-round winner. I make this cheesecake at least once a month. 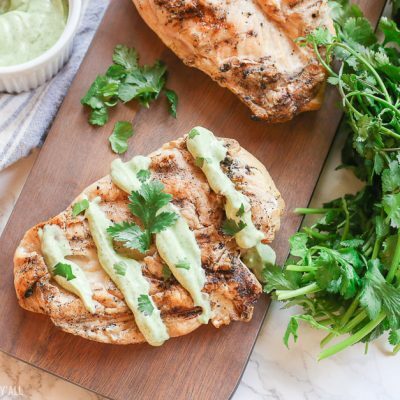 It’s perfect with a glass of chilled wine, some good friends, and a crisp fall evening. 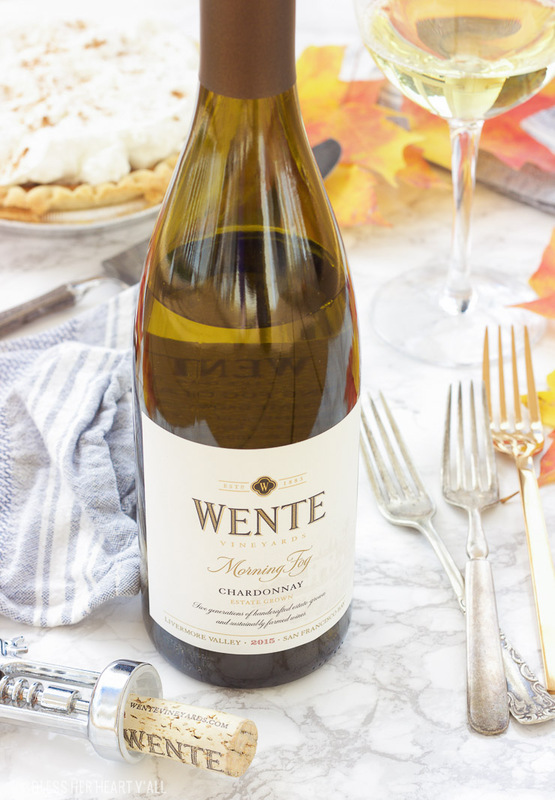 My preferred wine of choice for this recipe is Wente’s Morning Fog Chardonnay with it’s recent Wine Enthusiast score of 90 Points for 2014. I’ve mentioned it before on my simple oven baked paleo meatballs post because it’s in our kitchen frequently. It’s one of our family’s favorite affordable chardonnays. 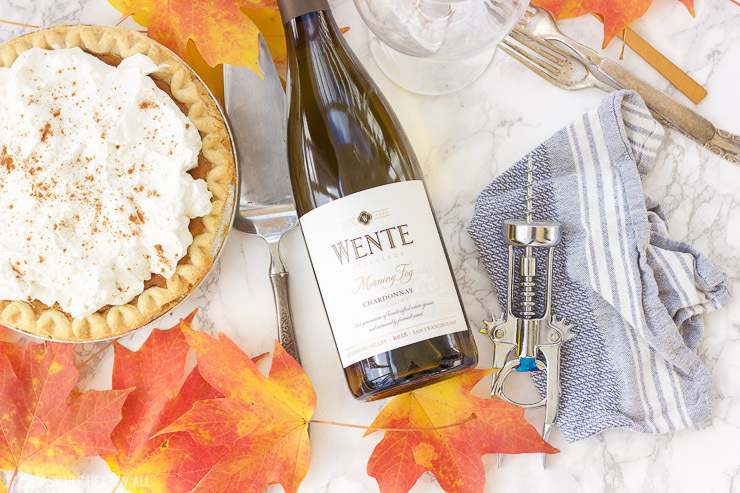 Learn more about Wente Vineyards rich history and recent accolades and purchase Wente Vineyards Wine online to have on hand through the holidays as host gifts or the next time your girlfriends come over for “cheesecake night”! 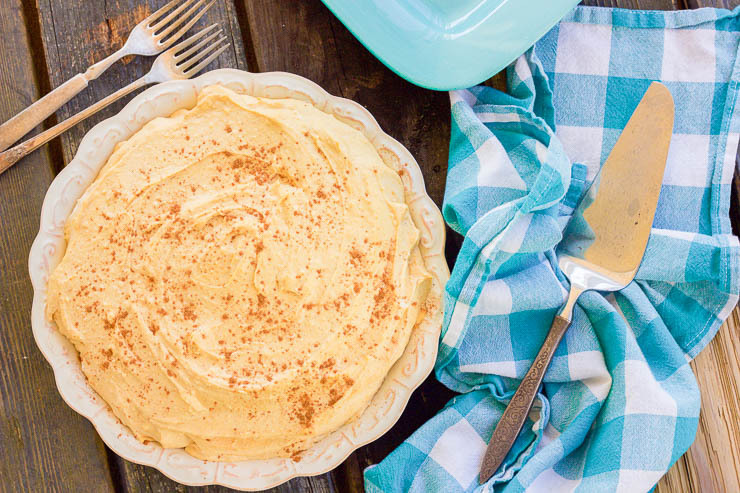 This pie looks sooooo yum. It will make a quick pie for unexpected company that everyone will enjoy.